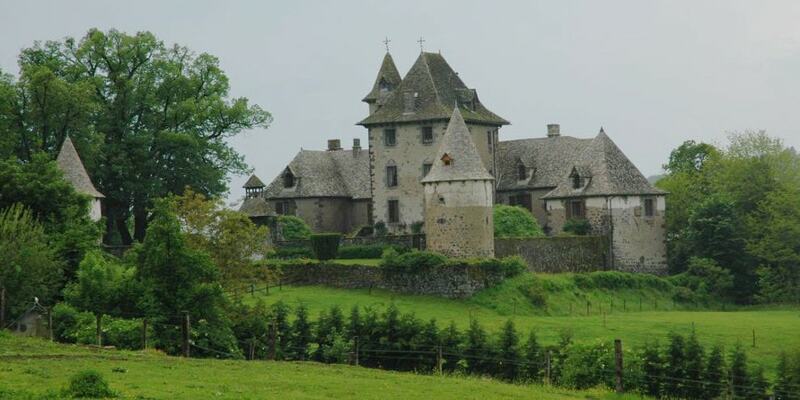 The Castle of Vixouze is a medieval castle that was built in different phases starting with the 13th century. Nevertheless, Vixouze was first mentioned in the 10th century. Back then, it was probably a small villa that was donated by Bernard de Carlat, Viscount of Carlat, to the abbey of Conques. Construction of the present structure started in 1267 when Guy de Vixouze planned to erect a noble site with a single tower. The central square defensive keep remained to the present day. During the Hundred Years' War, the castle was severely damaged and it had to be almost entirely rebuilt in the 15th century. The main staircase dates from that period while other elements were added during the next centuries: the barn in the 17th century, a chapel and two more wings in the 18th century. The fountain at the entrance is dated to the 19th century. The public can visit the exterior of the castle free of charge. From time to time, the castle houses painting exhibitions.